The Jubilee 2011 is fast approaching; there has been a change in one of the praise teams, “The Poured Out Band” is replacing Shapuni Hunter. Poured Out consist most of the Boyer Family, and they do Worship the Lord with their music gifts. If anyone is interested in helping in anyway let us know, but mostly just spread the word. We are purchasing food for 1200, and God willing, we will honor our Lord, under His stars, as we offer to Him the first fruits of lives saved through the different offices such as Stephens County Sheriff and Jails, drug court, parole office, and the Recovery Ministries in our area. It’s been another exciting month for The Recovery Church, we Baptized 9 people in the jails last week. Duane Sheriff Ministries, of Victory Life in Durant Ok, has graciously provided us with some awesome DVD seminars on the Kingdom of God, and some phenomenal teachings of Jesus Christ. These DVD’ are really incredible, and even better than those that changed my life in prison, the ones we taught last year. We have several seminars going on and I would like to personally thank Sheriff McKinney and his entire department. Under Sheriff F.L. 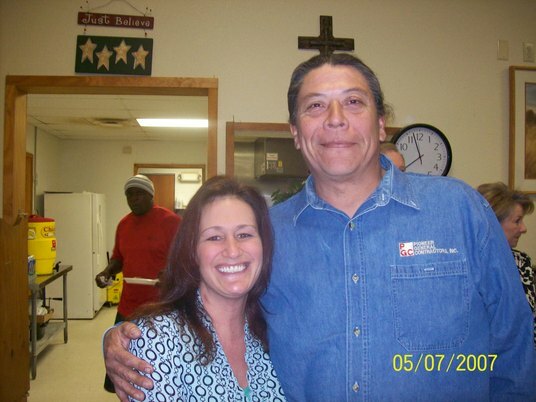 Estes, and Dave Horn jail supervisor, are blessings to this community for the work they are allowing in the jails. Thank you guys for not only allowing this work, but being a part of it. We baptized William Key, Dalton Arbuckle, Brittany Gillespie, and Judy Perkins at Church April 19th. 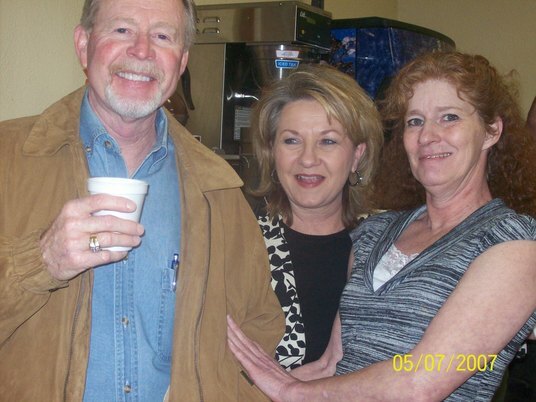 I have lost count of the jobs people have received after we Cried Out to the Lord, at least 12 people I know have received good jobs this month, and for the first time in drug court history Sharon Cain said drug court is 100% employed. Lynn Parr and I attended a meeting last week with some good folks from different local services looking into a homeless shelter for this community. The director of housing from Lawton spear headed the event; we were so encouraged that our little Recovery Church has assisted, in one week, half of what Lawton housing had done for the quarter, in assisting the homeless with housing and utilities. God has truly made this church a channel of blessing. We will have a Recovery Home, God willing! Palm Sunday was a huge success as we had Communion with our Lord at His table in the morning service, and that afternoon an egg hunt for the kids, followed by a time of worshiping our Lord Jesus and hearing incredible testimonies of what He has done in many lives. We had at least 40 kids. We are so thankful for Greg & Anna White. We want to recognize them as extraordinary disciples. They came to us about 5 months ago in a desperate situation with a hopeless outlook. What they found was a living relationship with Jesus Christ. Jesus began to put their lives back together piece by piece. What’s happen in 5 months can only be described as a miracle from God. They now give back 100% to those in like situations and God is blessing them tremendously. Greg will be sharing their testimony sometime in June. Be looking on the web sitewww.deliveredfrommet.com for the exact date. Arvel Adkins, 78 years young, will be sharing his story Saturday, May 14th at 7 PM. We are supporting our very own Lisa Meehan as she is entering her third month as a missionary in Honduras. What a testimony of God’s love and power to transform a life. Only a year ago her life looked hopeless and she was near death from a life of abuse and drugs. Now she loves and teaches some very needful children living below poverty. Lisa is a very rare and special lady; God completely transformed her life quickly. She is doing great, but homesick and calls us at least once a week. We are able to send her care packages for the kids though other missionaries. She’s pictured with Jerry and Susan and will be coming home in Oct. a different lady. We love you Lisa and proud of you! 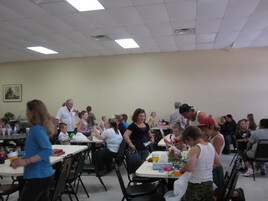 We spent Easter Sunday with our sister church, Freedom Biker Church. Thank you guys for an Easter service we won’t forget. 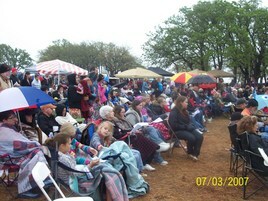 The weather could not damper the spirit of Jesus. Billy and this church are a true blessing to the kingdom of God. Thank you for the example of Jesus’ love. In closing a special thank you to these local businesses for their support of this tremendous work God is doing in our community through the Recovery ministry. Rebecca of Rebecca Flowers, Tim and Tara Keller of Kel-Pro, Jamie Mangum of Sears, Jackie Mangum of Mangum Automotive, Linda of Elegant Designs, Jerry & Susan Shaffer of Preferred Realty, Lynn & Sandy Parr of Parr Realty, Mike & Debi Tate of Red River Computers, The Smith family Ron, Betty, Adam, Andrew, Amos, Abby of Smith Pixels, Rod Isham of Rods Guitars, Pam Dobbins of Christian Helping Hands, Mike & Mary Ramsey Rentals, and a special thanks to the many individuals who work endlessly making this ministry a success. Your labor, counsel, encouragement, financial and emotional support, and especially your prayers, well, Debbie and I could never find the right words to express what each of you mean to us. May God richly bless everything you do! We love each of you with all our hearts. We are glad to have Nita Warren, our bright light, back with us after a long battle with kidney infection. She has spent more time in the hospital lately than at home. We love you Nita and happy you are back shining among us!